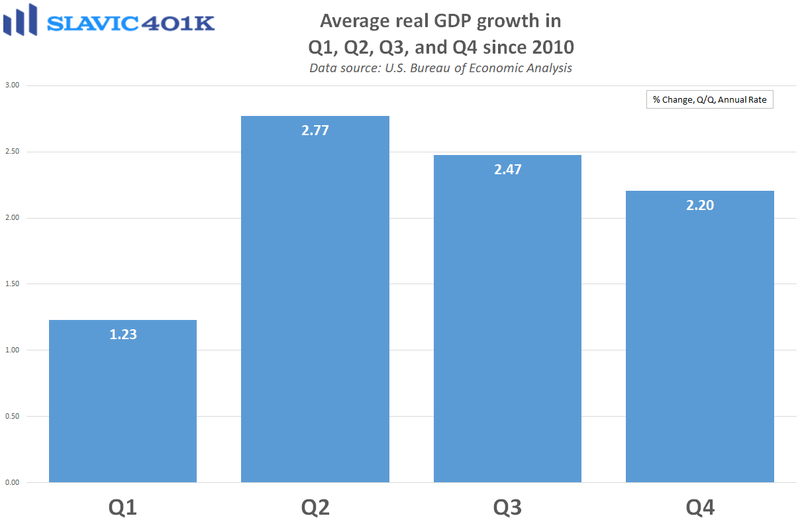 A new report from the Bureau of Economic Analysis (BEA) showed that U.S. gross domestic product (GDP) growth continued to firm in the third quarter of 2017. Specifically, real GDP, which measures the value of the production of goods and services in America adjusted for price changes (inflation), increased at an annual rate of 3.0 percent in Q3. 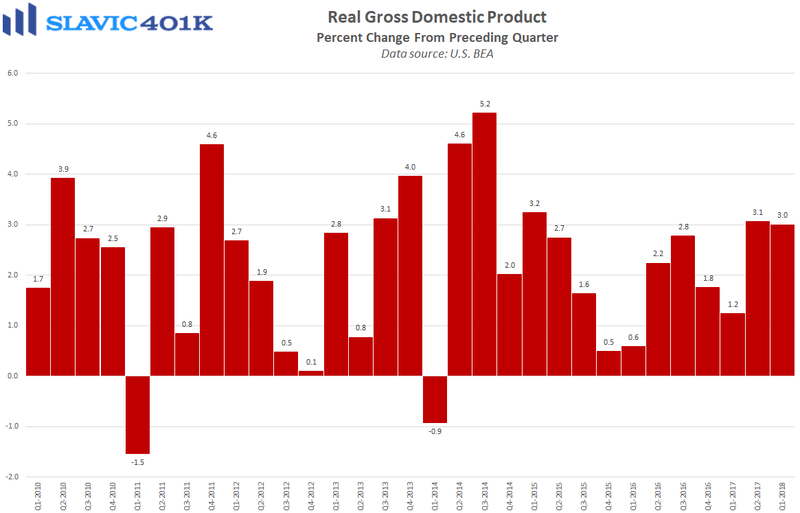 That is down slightly from Q2's 3.1 percent pace of expansion but much better than the 2.5 percent gain economists had anticipated. Consumer spending, which accounts for about 70 percent of the economy, added 1.6 percentage points to GDP growth last quarter. Strong motor vehicles sales contributed to the solid consumer figure but this was likely just a temporary bump related to damaged cars needing to be replaced after hurricanes Harvey and Irma. 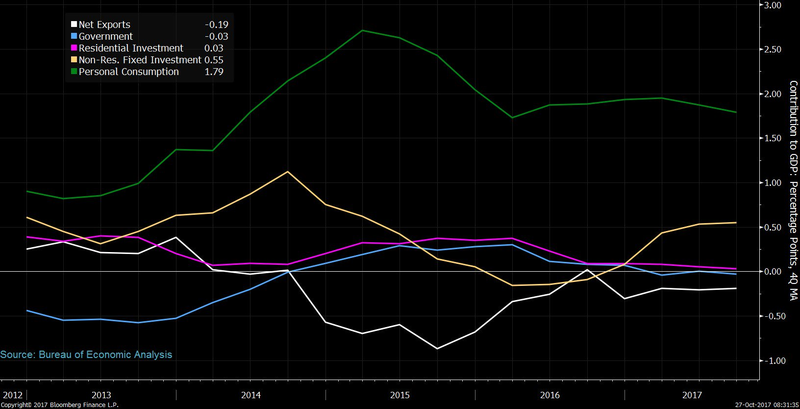 At the same time, though, the storms probably exacerbated the slowdown in services spending and the decline in business investment in structures. All things considered, GDP growth might have been closer to 4 percent if not for the adverse weather, which would have made this the best quarter for the economy in three years. 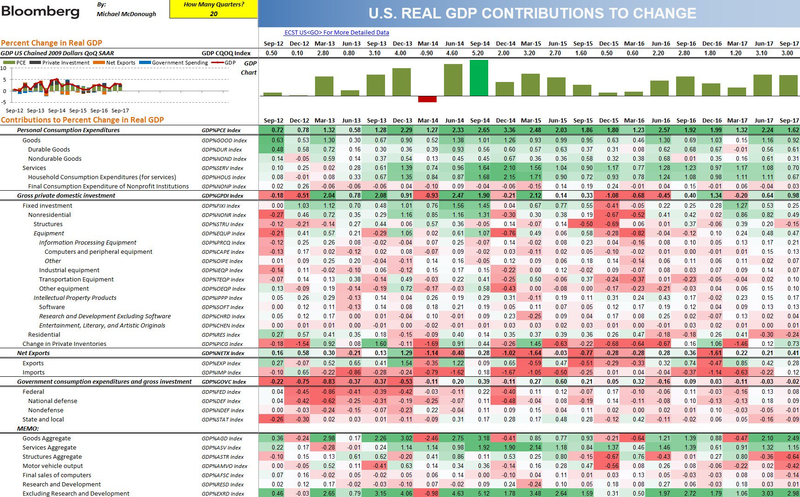 Regardless, this was still an encouraging report and Q4 growth could also be strong thanks to continued rebuilding efforts combined with the boost to consumer spending provided by a healthy labor market, muted inflation pressures, and relatively low borrowing costs.